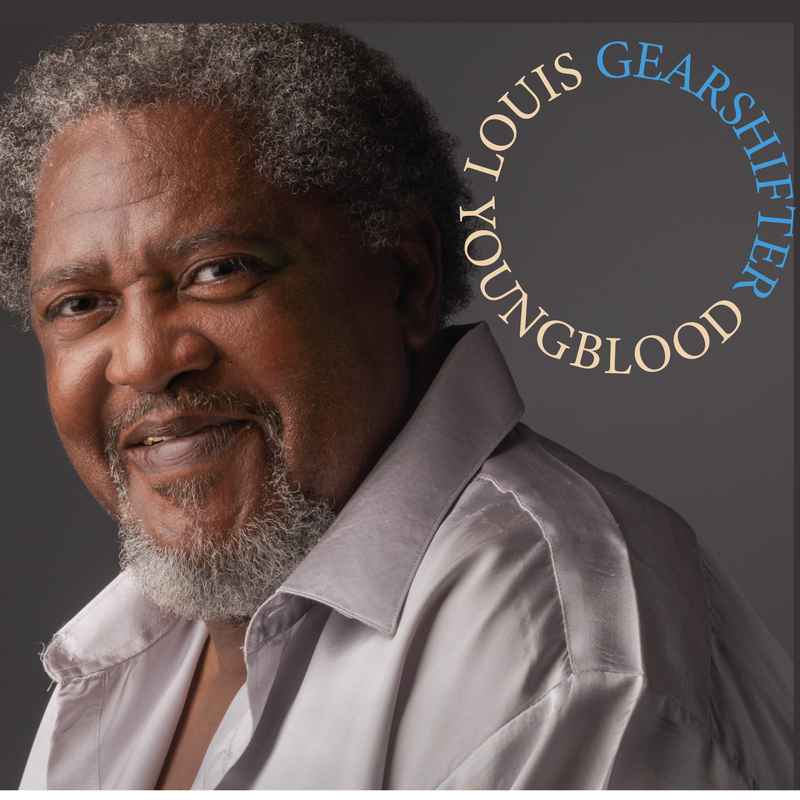 Louis “Gearshifter” Youngblood, a Jackson, Miss. based blues singer and guitarist, has released his first full band album. The record features traditional songs he learned growing up in south Mississippi, as well as originals and his unique take on contemporary blues and soul. Youngblood, who got the nickname “Gearshifter” from decades of work as a truck driver, has been an active performer at blues clubs and festivals around Mississippi for many years. Growing up in rural Walthall County in south Mississippi, Youngblood was taught to play guitar by older relatives, some of whom were contemporaries of the legendary early bluesman Tommy Johnson. The guitarist spent his journeyman years playing in other musician’s bands and has fronted his own group for several years. While Youngblood learned the older style of blues growing up and continues to play it, he’s never restricted himself in types of songs he plays. Scott Barretta, host of the “Highway 61” blues show on Mississippi Public Broadcasting, points out in the album’s liner notes that “. . what’s ultimately most notable about Louis’ music is his embrace of whatever catches his ear.” A typical set by Youngblood might include a classic country song, his take on a current soul blues hit and a funky re-working of a blues standard by Tommy Johnson. Youngblood recorded the album at Dial Back Sound in Water Valley, Miss. He was backed up by several of the north Mississippi musicians associated with the studio, including bassist (and studio co-owner) Matt Patton (Drive by Truckers) and Jimbo Mathus (Squirrel Nut Zippers). Dial Back’s Bronson Tew recorded, mixed and mastered the album. He’s made a name for himself recording a wide range of musicians, including the late Mississippi bluesman Leo “Bud” Welch, Shreveport rockers The Seratones and up and coming soul diva Bette Smith. The guitarist recently performed at the Crescent City Blues Festival in New Orleans and will be using the album to find more performing opportunities at festivals and clubs in the region and overseas.